Video alone leads the way in its ability to convey heaps of information in the blink an eye. Each shot and every angle communicates a story to viewers. Shift the lighting, tweak the angle, or pan the shot in a new direction and the story changes. There is a relationship between changes in lighting, camera angles and the action being captured. Getting two or more video cameras to match in colorimetry or “look” is an art form of its very own. In a live event, Video cameras are an input to a presentation system. While they can also be recorded, most times these images will be displayed as image magnification (I-mag) on screens for the audience. 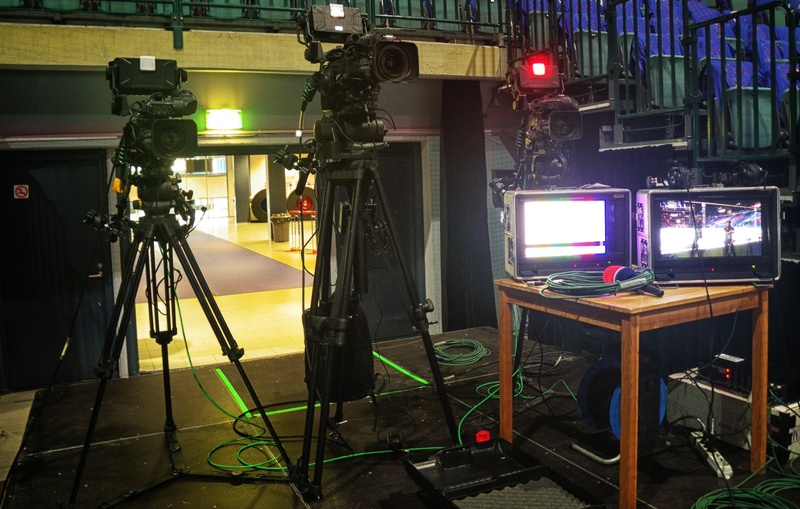 Camera image quality is exceptionally important for streaming or broadcast events. Stark, sudden changes in the image can distract your audience. While this may be desired if you are trying to set a scene, it’s completely undesirable to see a washed-out presenter from one camera angle while another angle is too dim to make out detail. The video engineer “shades” the cameras to match in picture quality, and monitors other inputs including video playback to ensure the viewer can focus on the presentation and not distractions in the images. The V1 works with the Audio Engineer to ensure sound is in sync with the video, with Projectionist to ensure the images are related faithfully and with the Lighting Director to keep balance in the image fidelity. In short, a video engineer manages the entirety of the event's video system from the top down. Video engineers have varying proficiency across the board, but great V1s are consistently reliable in most scenarios and applications. They have a deep understanding of the technologies in use. Although industry standard system devices can ease the learning curve involved in successfully managing a venue's video system, integrating a diverse range of gear into a single event is always a challenge. Awesome video engineers know what to do with the technology they need to use and are at ease with all kinds of production equipment. They play a key role in the setup process. A great V1 directs the process of setting up a video system for an event knowledgeably—avoiding system-wide complications from the start. Furthermore, a knowledgeable V1 can provide assistance in keeping the physical devices of the system up and running should they need maintenance. They understand the intricacies of broadcast signals and can adjust these to optimal levels when necessary. They are extremely flexible and proactive; a must for competent live event coverage. An exceptional V1 will couple high flexibility on the job with exceedingly clear and effective communication skills - making for a smooth, controlled production environment. The short answer: To ensure the quality and consistency of the video images. The longer answer: The video engineer is included in the early stage of your event's planning to accurately determine your engineering needs beforehand. They can also troubleshoot your setup more extensively before crunch time—further guaranteeing the success of your event.